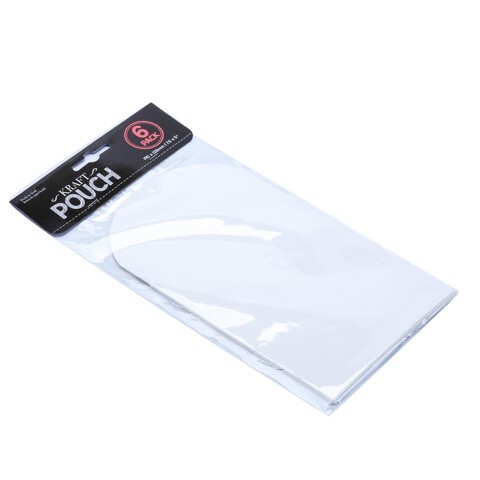 White Pouch 190X128Mm 6Pk. 12.8 x 23.5cm Full Size Including Flap. White. Kraft Paper 110gsm. 47g Packaging: OPP Bag with Header Card.